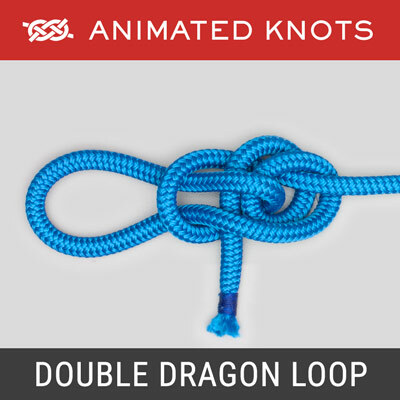 Strong loop for double-line leader and loop-to-loop join. 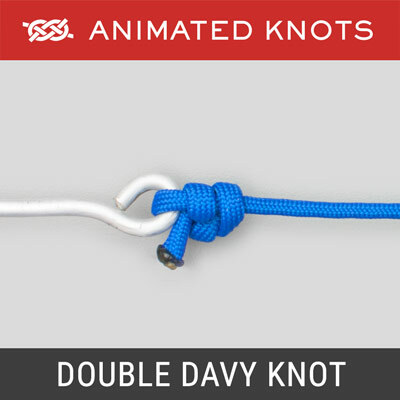 Strong double-line leader and for loop-to-loop connections. 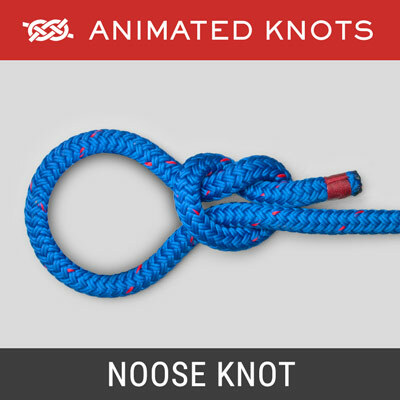 Reasonably secure loop in a rope's end - and easy to undo. 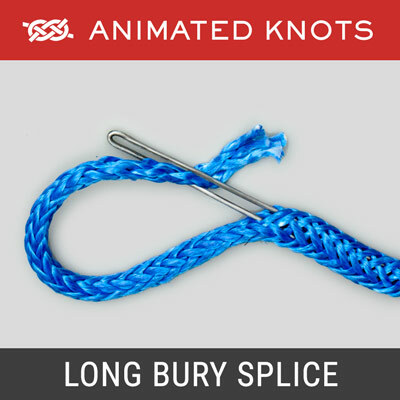 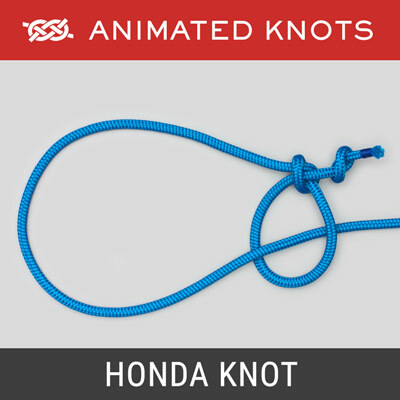 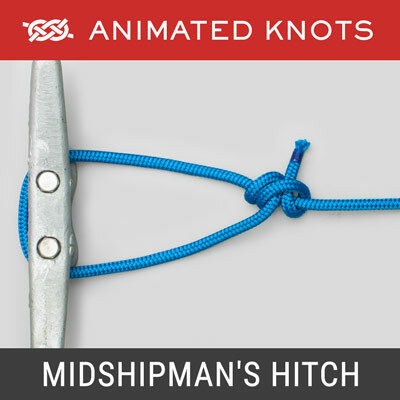 Easy and fast tying knot for attaching a hook or fly. 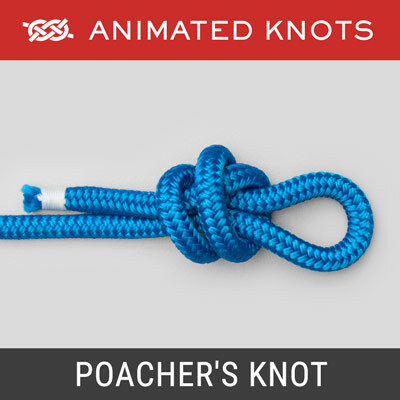 Secure, and fast tying knot for attaching a hook or fly. 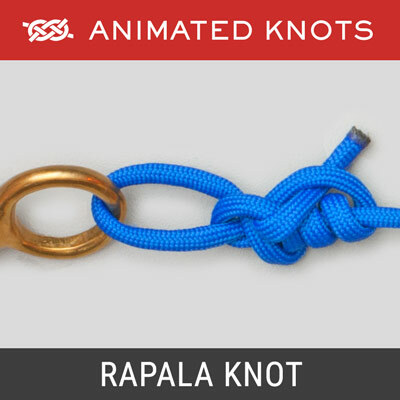 The essential component of a Lariat used as a Lasso. 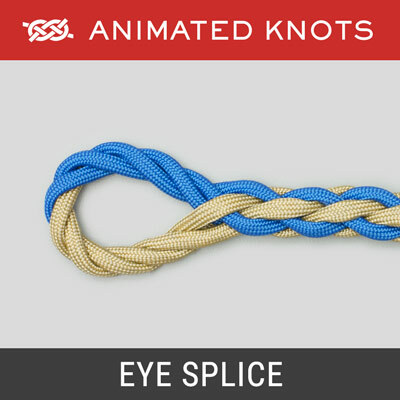 Hollow Braid Eye Splice with end threaded up rope center. 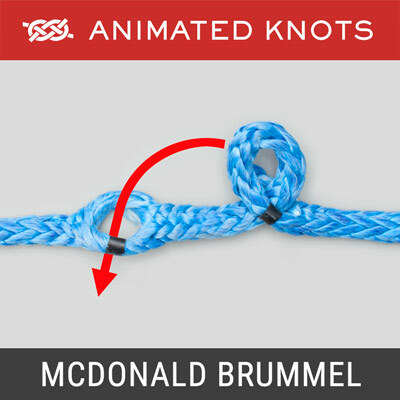 McDonald's quick Brummel splice for hollow braid rope. 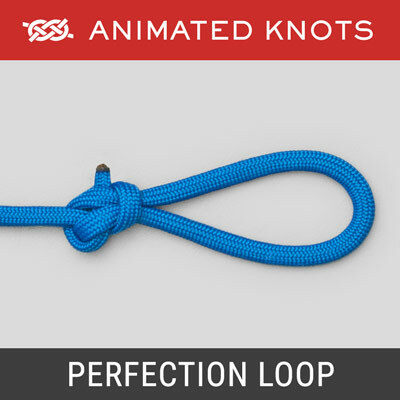 Creates a very strong fixed loop in the end of a line. 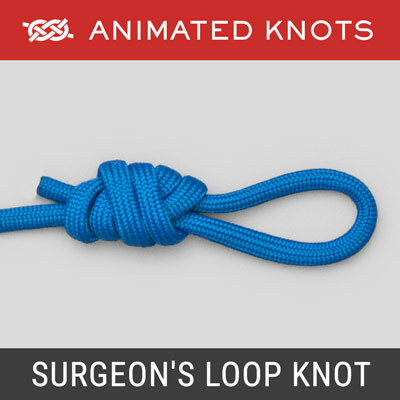 Creates a loop that tightens when pulled. 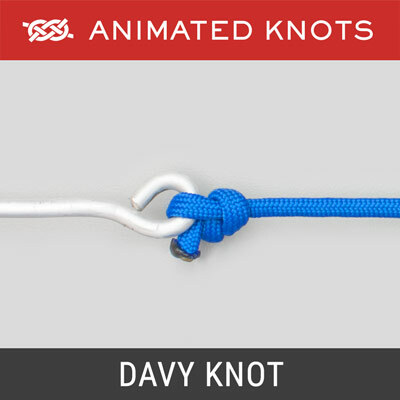 Small loop in end of a leader aligns with the standing end. 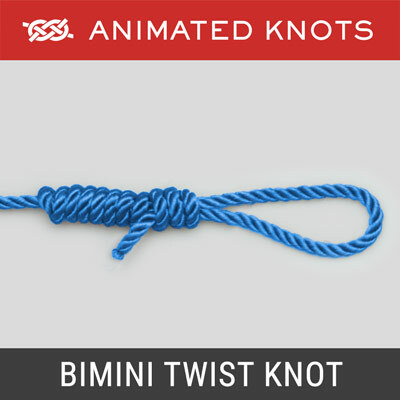 A non-slip loop knot usually tied directly to the lure. 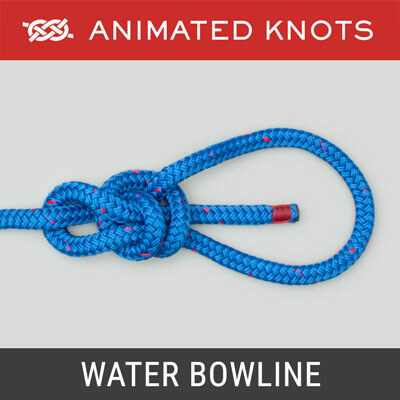 Bowline encircles the standing end to create a noose. 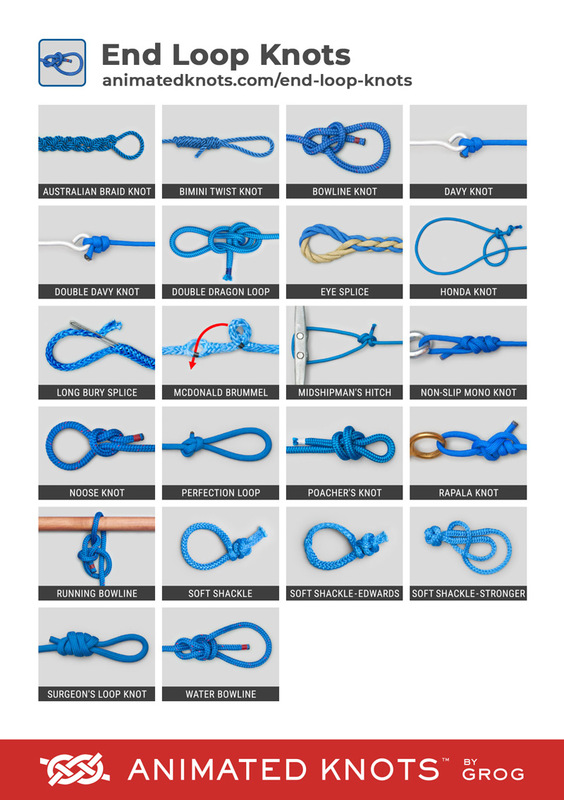 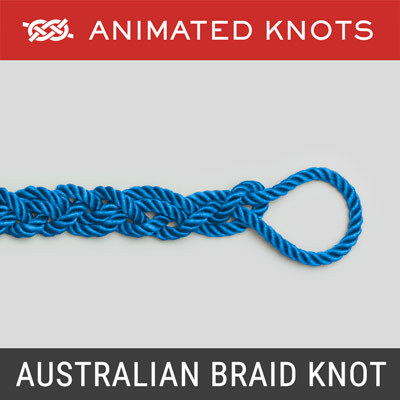 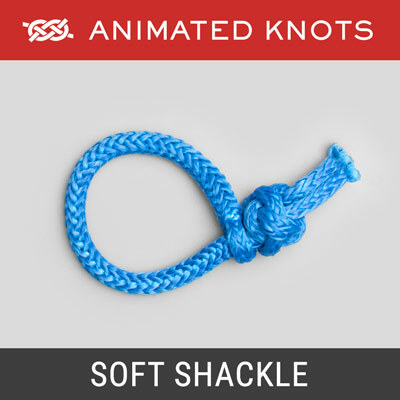 Neat method of creating a soft shackle in hollow-braid rope. 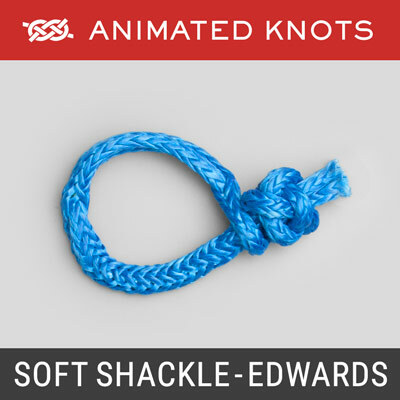 Edwards style shackle made out of hollow-braid rope. 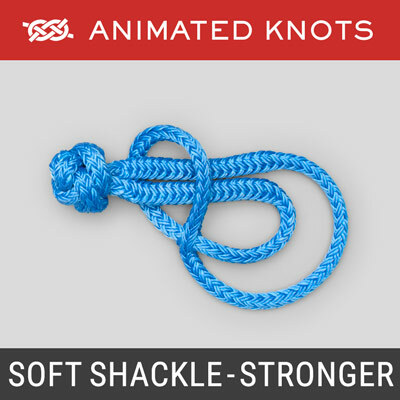 Stronger soft shackle made out of hollow-braid rope. 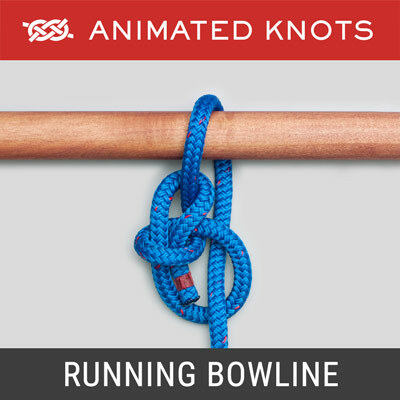 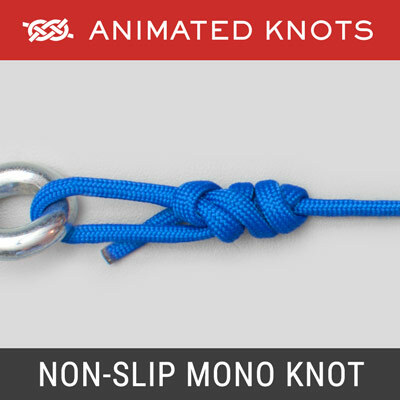 A Bowline with an additional turn for greater security.